Everyone wants to be healthy yet more people than ever before are struggling with obesity, health issues and guilt about their food choices than ever before. Add the challenges of a negative perception of the food and restaurant industry as well as conflicting and overcomplicated health information and you can see why people are overwhelmed. How well do you understand the needs, buying decisions and questions of health conscious consumers and those with medical issues? Are you coming up with ideas that will satisfy a hungry market that is starving for better solutions to their needs? Do you know what key opinion leaders that educate the public about health and wellness every day will say about your offerings and marketing material? Contemplating these questions is important for product innovation, marketing and communication of your current and future offerings. When you create choices, partnerships and credible education for this population that not only deliver taste but also you surprise them with solutions for their health, you will create a new following of loyal supporters. 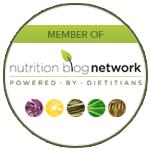 Review the latest nutrition research and trends in health and wellness. Learn about the multiple ways consumers define health and how this creates many opportunities for the food industry. 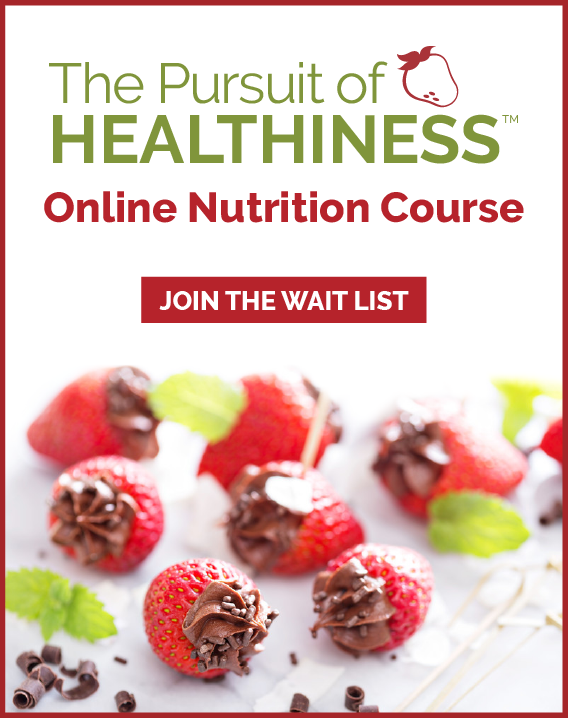 Understand the questions and concerns of three health conscious groups: general health advocates, weight loss focused consumers and those with health issues. Find out how to translate the complex science of nutrition and food into simple positive messages that can work for your products. Gain insight into new marketing and partnership ideas for key opinion leaders, health professionals and consumers. 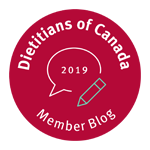 Food, restaurant, grocer or agricultural industry event or conference that could benefit from nutrition education both personally and professionally. Communication, media or public relations firms that work with consumer divisions of food industry clients or those that target health conscious consumers. Click here to review other topics. WOW—-We don’t have to be perfect. What a relief! Andrea spoke at our annual fall conference, and just lit up the room with her energized, dynamic, and inspiring presentation. The feedback from our participants was just glowing; like they’ve been renewed and given permission to focus on what really counts at meal time. The real life approach to food and nutrition is so much more attainable and sustainable. Our group consisted of Food and Nutrition managers, dietitians, and food industry reps, and all were engaged with Andrea’s messages. We can’t thank you enough for your contributions to our HealthCare Education day, especially on such tight timelines. The amount of work you put into tailoring your message and your presentation to our crowd was very clear. Your presentation was an incredible opportunity for our customers to take something away not only for their professional lives, but for their personal lives as well. Additionally, your energy and ability to relate to the audience was invaluable as a presenter. Your presentation truly transcended age and time, and everybody was able to relate and walk away with something to help them out. Thank you so much for inspiring that in our customers and in us. We hope to have you back again. Andrea is a spitfire! She is lively, engaging, captivating and delivers great fresh ideas! She dresses up the topic of nutrition and takes it to a whole new level. In today’s fast paced and stressed out world it is an important message to hear for your own personal health. 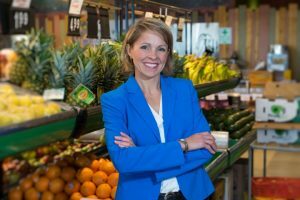 As a retailer, the whole healthy eating movement is a hot topic you need to know more about in order to better understand your customer’s needs. Andrea’s sessions deliver significant added value to retailers who want to make this a priority message for their businesses. Go Andrea! Relevant, interesting and useful. Information that is useful to me. All presented in a fun and entertaining format. Thank you! The information provided today gave me some ideas to help make my store unique/compete with the big-box stores. By providing health related facts we will provide better “we care” approach to sales. Absolutely fascinating, interesting and very informative. Great information, ideas I hadn’t thought of. I thoroughly enjoyed the energy brought to the room by you. It is obvious that you started your day off right. Practice makes perfect. Our team was fully engaged due to your infectious energy. Thank you. Great presentation. Lots of information for eating healthier and living better. Very interesting content presented in an interactive way. I loved how Andrea makes nutrition simple. Consumers are very confused about making good choices and her approach just makes sense. I will be returning to my business with a fresh no-nonsense perspective. Your presentation was good, inspiring and entertaining. I would recommend you to others. Thank you for your time and input. I look forward to utilizing your info in my bakery and deli. I really enjoyed listening to your thoughts toward health and nutrition. It has given me a completely different point of view when engaging with customers. Great job, very clear and insightful. Fantastic! Great bite-sized information that was easy to digest.